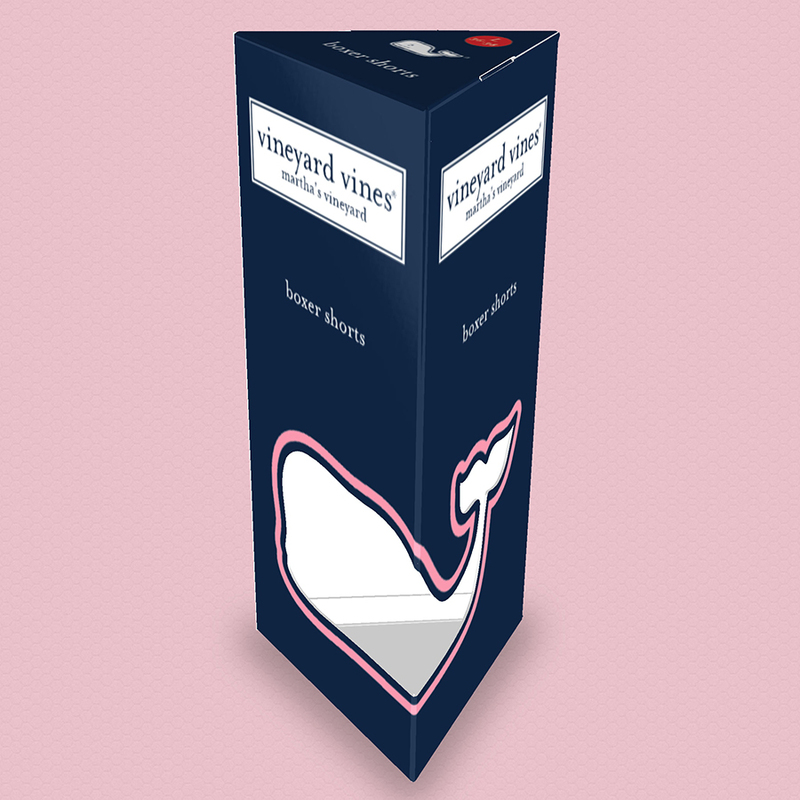 vineyard vines packaging - Polar Purple Creative, LLC. 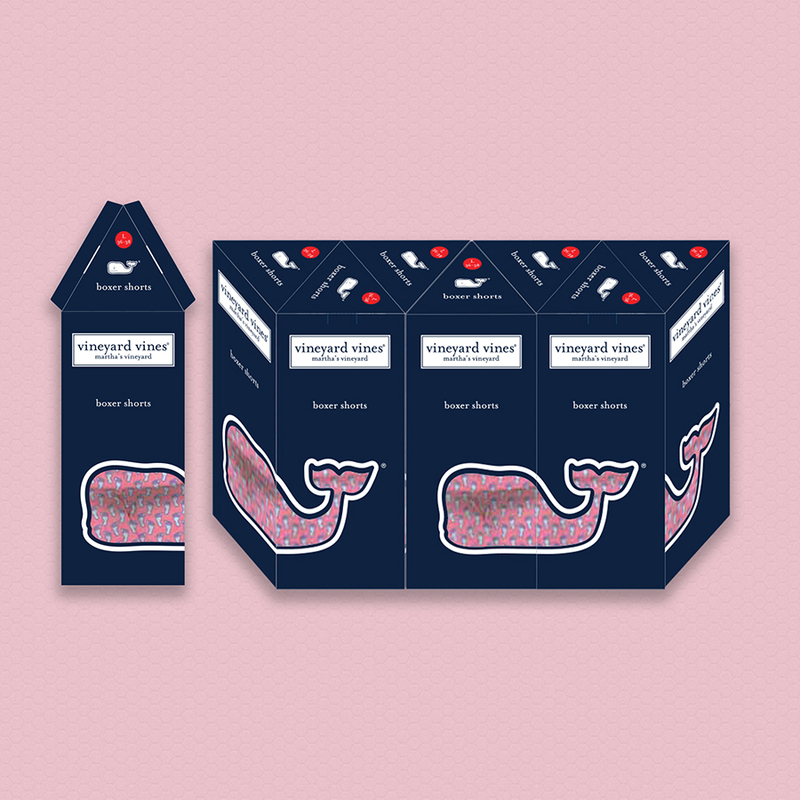 New packaging design concept for men's underwear. Diecut, printed box structure concept was created, adding client's existing logo and graphics. This project consisted of not only taking into account how the garment could be seen within the box, but also considering how the packaging would appear displayed and stacked on a table or fixture on the store floor.